The plan was for French JMP users to meet in the south of France, which is usually a very pleasant place in April. Unfortunately, this year was simply cold and rainy, but that did not keep JMP users from gathering in Marseille. The users were welcomed by Jean-Francois Christaud, Device Director at ST Microelectronics, who spoke about speed as a key competitive factor. Building on this theme, Florence Kussener of JMP showed users how to quickly build application in JMP using the Application Builder. A wide range of presentations from Air Liquide, Elanco and Lafarge Ciments followed on such topics as data visualisation, design of experiments and SPC. 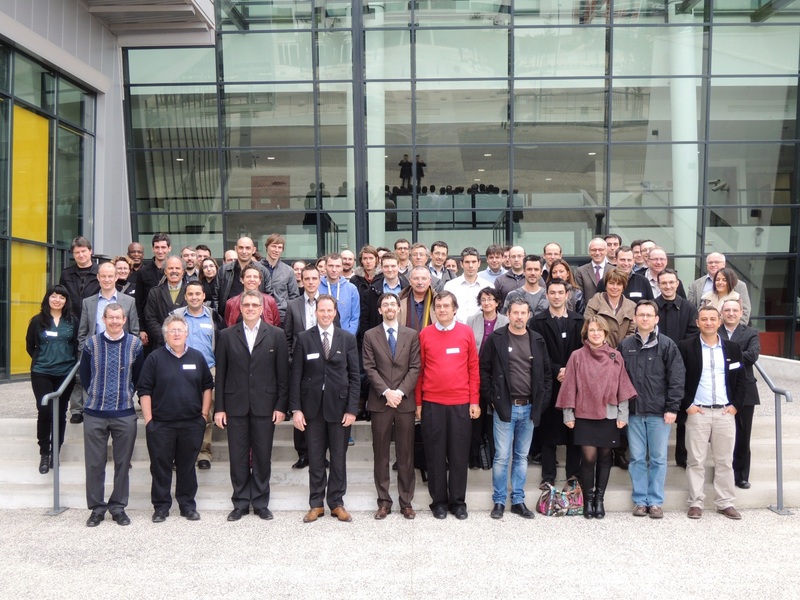 You can probably tell from the group picture that everyone enjoyed the day, but what you probably can’t see is that everyone is wearing their pins celebrating the International Year of Statistics. Attendees were surprised to discover that users in other industries were solving similar problems to their own, which lead to great conversations. This is what the user group meeting is all about, and that did work. After Toulouse in 2010, Lyon in 2011, Paris in 2012 and Marseille this year, the only question that remained unanswered was where next!